Prevent birds, like pigeons, from roosting on any landing surface, permanently! 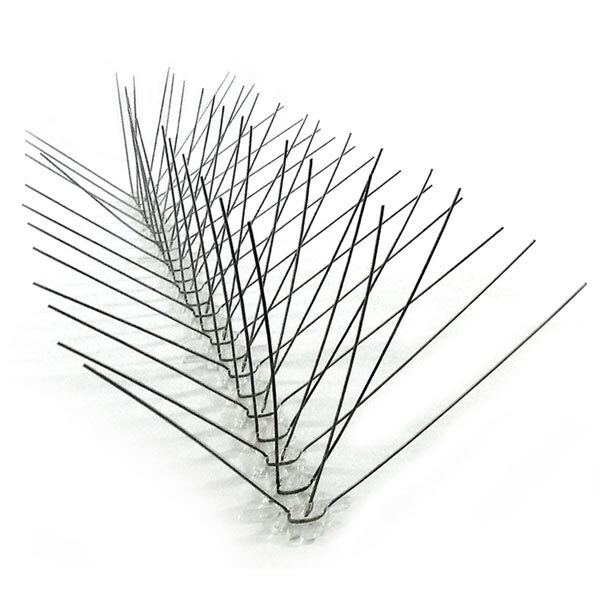 These steel bird spikes feature unique-to-the-industry center spikes to prevent birds from landing between the prongs. This feature makes Stainless Steel Bird Spikes one of the most effective bird control systems on the market. 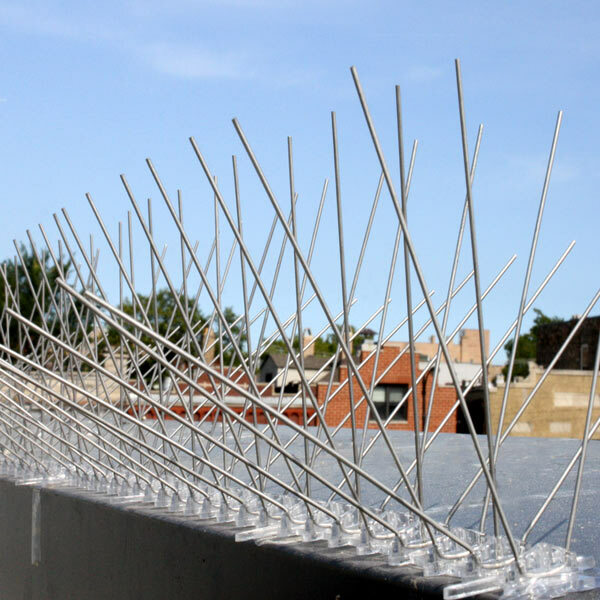 The bird spikes do not harm pigeons or other birds. They are just extremely uncomfortable to land or perch on. 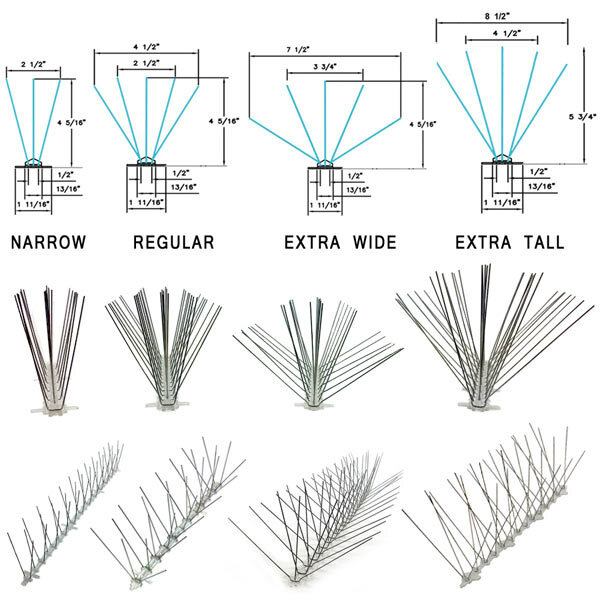 Steel Needle strips have been used on buildings and structures worldwide to eliminate roosting and nesting surfaces making them one of the oldest and most reliable bird repellents. 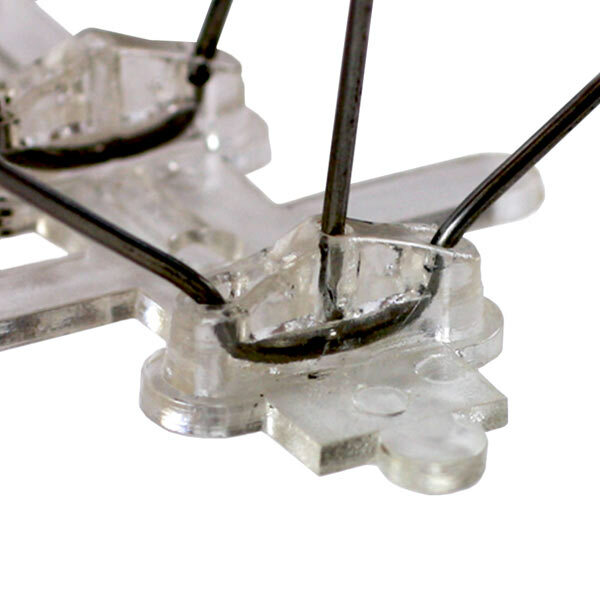 Center spikes prevent landing between prongs. Easy to install. 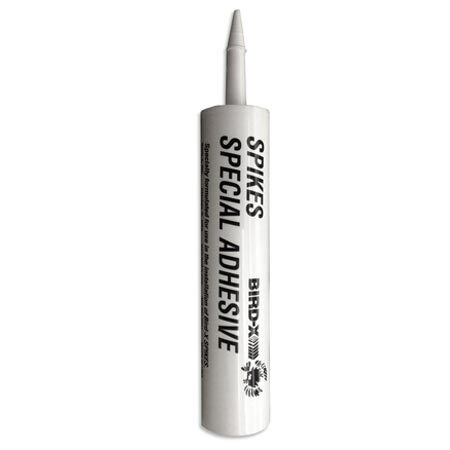 Attach with Bird Spikes Adhesive, nails, screws or ties. Creates a physical bird barrier that is a cruelty-free bird solution. Steel Spikes won't rust, corrode or decay over time. Each 2' strip "locks" with the next for a seamless fit and no wasted material. Steel spikes are more cost effective than other bird control solutions. Long Lasting Effectiveness. Physical barrier prevents perching, roosting and nesting. 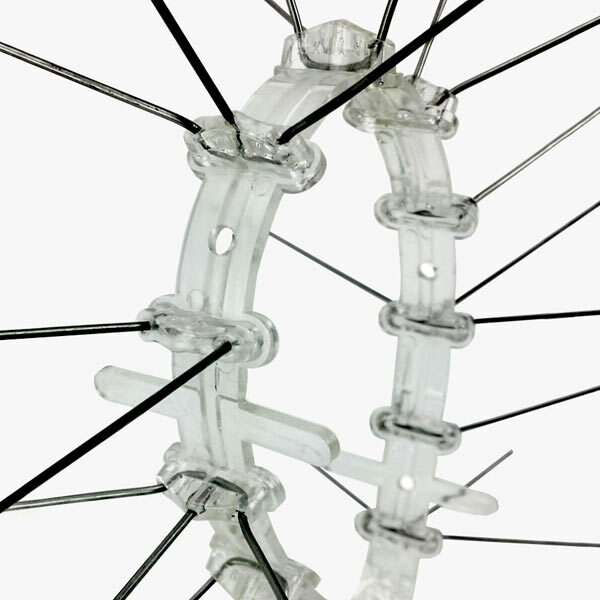 Flexible polycarbonate base allows for installation on uneven or curved surfaces. 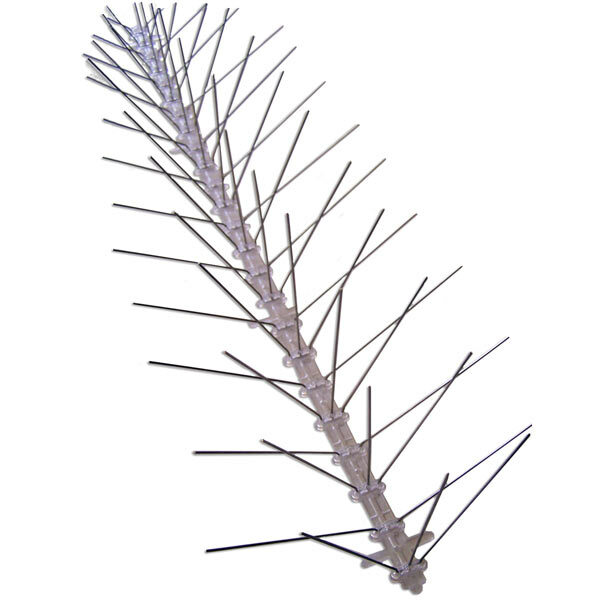 For extra large birds like Seagulls and Turkey Vultures, use our new Extra Tall Spikes (currently only available in 98' coverage: 49 - 2 ft. strips).